You'd be hard-pressed to find a working Super Nintendo in someone's house nowadays, but back in my adolescence it was gaming heaven. But now there's no reason to have an SNES console at home, because there are so many ways to play those retro games without one. 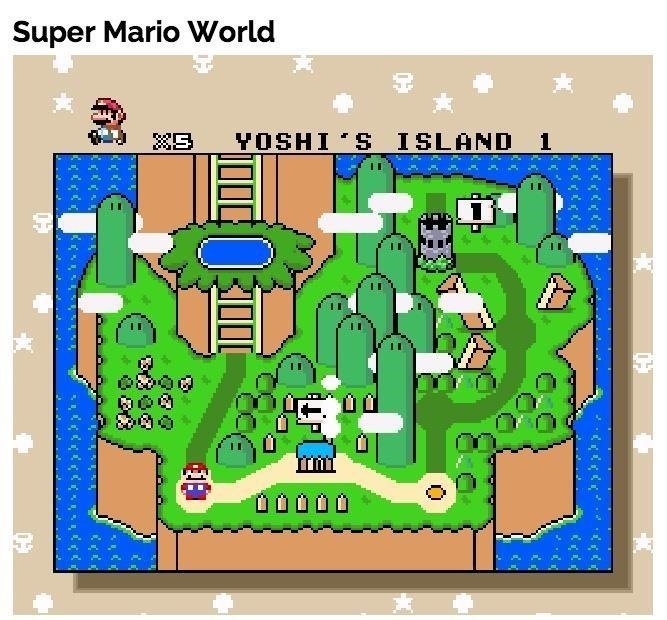 All it takes is a good emulator. A while ago we discussed SNESbox, a website with thousands of Super Nintendo games playable from within your web browser. Previously you could just go to the site, pick a game, and begin playing, but now you need to have each game ROM downloaded on your computer already. Needless to say, this makes the process a little more complicated than click and play. However, there is an alternative that brings back the old-style play of SNESbox, and it's called SNESFUN.com. You can play games in-browser without any downloads or game ROMs. You can select one of the many games featured on the home page, or use the search function to find what you're looking for. Once you have chosen a game, simply click to play. 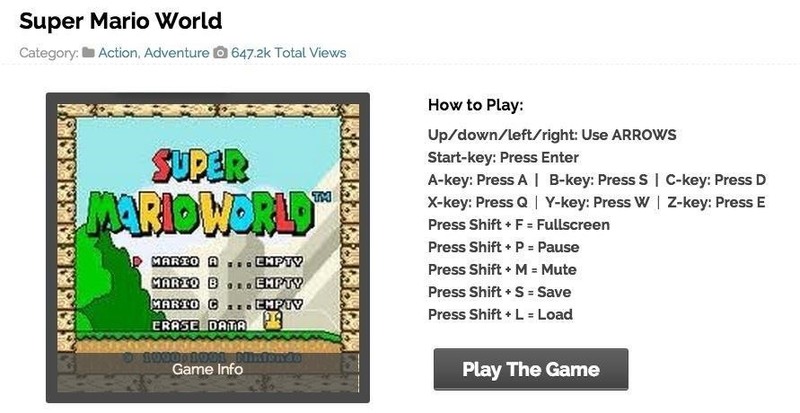 You will be taken to the game's menu page where instructions will be displayed. Click on "Play The Game" and let the fun begin. Sometimes the controls take some getting used to, but that's something I can deal with, and you can change the controls once inside the game. Click on the game window until the options panel pops up. Then click on the keyboard icon. Next, tap on the button you which to change and enter the keyboard key you want to use. Once done, hit "Save." That's that. Now you can enjoy your game like it was back in 1992, right from the comfort of your own computer—in any browser. 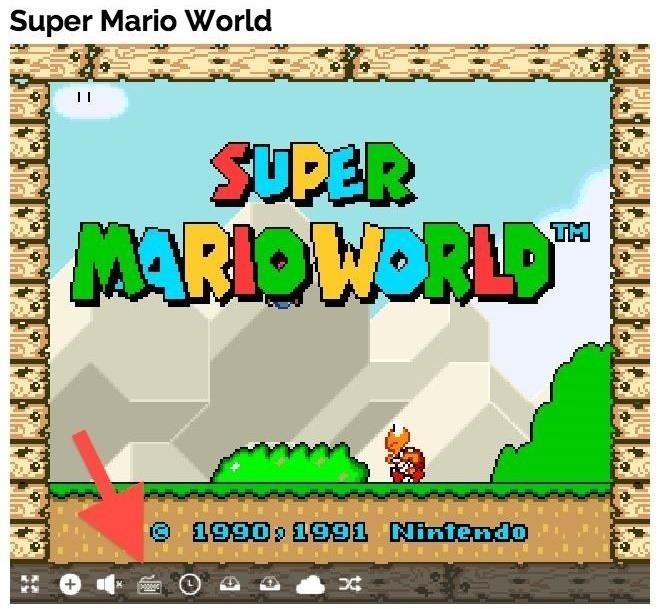 Now that you know how to play SNES games on your computer, starting playing on your mobile. 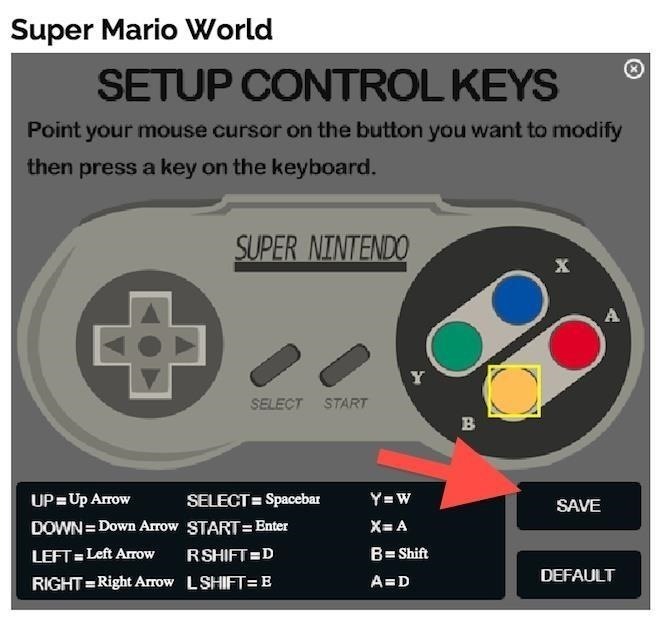 iPhone users can use MeSNEmu, and Android users can use emulators like SNESDroid or SuperGNES.